Sabbath is gift. As Bishop Ryle reminds us, it is given for humanity’s happiness, it is a boon and blessing and not a burden. Today we pause over this gift to the world, this gift to the people of God and we practice remembering Sabbath. There are so many Old Testament passages that offer commentary on this one command, that we don’t have time to consider all the implications today. I thought we might pause over Sabbath for the next three weeks and consider a few aspects of this command. Today I’ll reflect on Remembering Sabbath. Next week, we’ll explore Sabbath in Exile. And finally, we’ll consider the Jewish greeting,“Shabbot Shalom” or Sabbath Peace. 8 “Remember the Sabbath day, to keep it holy. 9 Six days you shall labor, and do all your work, 10 but the seventh day is a Sabbath to the Lord your God. On it you shall not do any work, you, or your son, or your daughter, your male servant, or your female servant, or your livestock, or the sojourner who is within your gates. 11 For in six days the Lord made heaven and earth, the sea, and all that is in them, and rested on the seventh day. Therefore the Lord blessed the Sabbath day and made it holy. (Ex 20:8–11). In the first account of Sabbath, we are given a picture of the creation of the world, climaxing in a When Moses recounts the Sabbath command in Deuteronomy, he tells them to remember the Exodus. 12 “ ‘Observe the Sabbath day, to keep it holy, as the Lord your God commanded you. 13 Six days you shall labor and do all your work, 14 but the seventh day is a Sabbath to the Lord your God. On it you shall not do any work, you or your son or your daughter or your male servant or your female servant, or your ox or your donkey or any of your livestock, or the sojourner who is within your gates, that your male servant and your female servant may rest as well as you. 15 You shall remember that you were a slave in the land of Egypt, and the Lord your God brought you out from there with a mighty hand and an outstretched arm. Therefore the Lord your God commanded you to keep the Sabbath day.” (Dt 5:12–15). The Sabbath command carries the memory of God’s good creation and God’s faithful redemption. In both stories, we behold the love of God poured out upon the people he created to know him and share in His life. Throughout the story of Israel, they carry both memories together and both memories are intertwined. 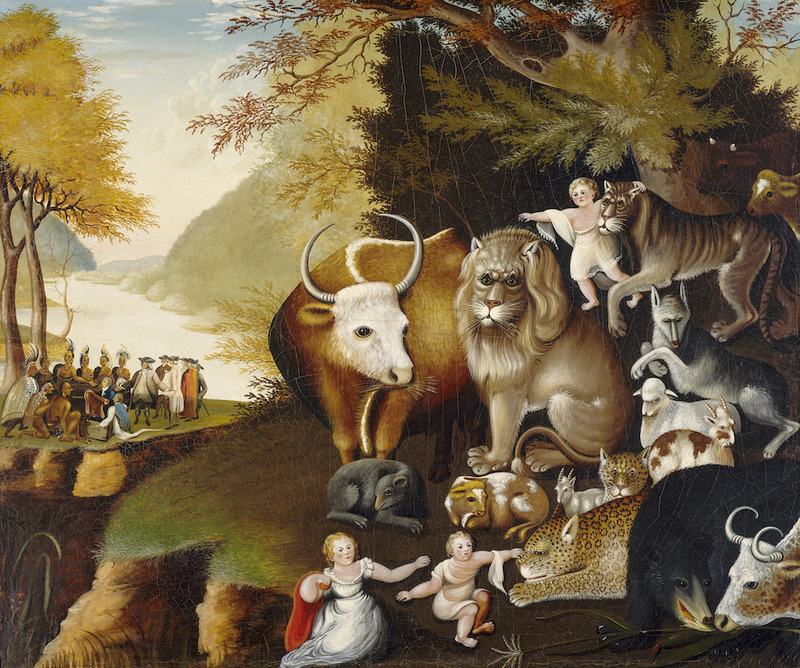 For the creation story of Genesis is being remembered from Mt. Sinai even as they have been redeemed from the hand of Pharaoh. Creation and Redemption are bound together in a memory of God’s faithful love. The people remember these stories by retelling the stories, eating certain foods, singing certain songs, and even through pilgrimages. The weekly Sabbath remembrance is extended into a series of specific remembrances throughout the year. 5 One person esteems one day as better than another, while another esteems all days alike. Each one should be fully convinced in his own mind. 6 The one who observes the day, observes it in honor of the Lord. The one who eats, eats in honor of the Lord, since he gives thanks to God, while the one who abstains, abstains in honor of the Lord and gives thanks to God. (Ro 14:5–6). It would appear there is room for various expressions. The early Jewish Christian communities seemed to have continued Sabbath observance and worship on the Lord’s Day. The early Gentile communities appear to have primarily practiced worship on the Lord’s Day. Yet, the Church Fathers took the Old Testament seriously and understood the 10 Words or 10 Commandments as normative behavior, so they had to think about how to incorporate Sabbath participation in worship. In the early centuries of the church, it was not normally possible for Christians to take off on the Lord’s Day, but by the fourth century, Christianity was legalized and the church began to apply Sabbath guidelines to Lord’s Day or Sunday. Across the centuries, observance has changed at times based on church leadership and cultural situations. Today we are back in a situation when many people do not have the option and taking Sunday off. So what does Sabbath observance look like for us? Jesus’ statement, “The Sabbath was made for man, not man for the Sabbath” may help us find a wisdom way of practicing Sabbath. As JC Ryle reminds us, this day is a gift not a burden. In our non-stop culture, a day set aside for rest could be a gift for all of us, but not everyone can set aside the same day. Some people are so busy during the week that a day off is often a day to catch up on chores, and yet, Sabbath rest is a much needed gift for all of us. It is an active form of remembering that involves imagination and physical participation. In a culture where we are taught to multi-task, it is a pause, a call to cease and focus on one thing. It is a form of remembering that involves the family and the community (even the animals and the land). This communal remembering takes places in a weekly observance but also in feast days throughout the year. It is a celebration of end of a work. At the end of the creation week, God’s sets aside a day of rest and rejoicing. It is a rejoicing in redemption for God does not leave his people enslaved in sin. There is more to discuss but these four might help us to think about observing Sabbath. First we think about pausing or ceasing. Each of us may seek to consider ways that we can pause, rest, and remember. If possible, we should seek to set aside a day a week. If not, we might set aside regular times of rest. Periods of pause during the day or night. Occasional retreats. Time set aside for physical rest, to give thanks to God for His goodness and to practice the art of remembering God’s good creation and God’s faithful redemption. The center of this remembering is our weekly gathering in worship through Word and Sacrament. Joseph Ratzinger suggests that Sabbath is ultimately about remembering the covenant of God with His people. Sunday worship is in one sense a covenant renewal service where we actively remember God’s promises and blessings as well as God’s call to us. We actively remember Christ by eating His body and drinking His blood in the Eucharistic meal. We also hear afresh His call to go forth with His word of grace to the world. We might think of ways we can practice regular times of Sabbath remembering within our families. Think simply of our prayer of thanks over meals. This is so common that is can be rushed through, but it could be a time for remembering. The Puritans prayed before and after the meal. The evening meal can be a time for remembering and retelling the joys of the day and the sorrows of the day, we remember together. Celebrating beginnings and endings are forms of Sabbath remembrance. From birthdays to anniversaries to graduation days, these are times to pause, remember, retell the stories of a person or couple, and give thanks to God for His grace in the midst. The preacher Jack Taylor once told the story of throwing a party after his son declared bankruptcy. This was a way of offering the grief back to God and actively remember God’s redeeming action. Sabbath remembering can be an active reflection on the people and places around us, beholding God’s goodness and mystery in the midst. This might be as simple as learning to tell people what a treasure they have been to us. Sometimes writing a card, a poem, or a short remembrance about a person can be a gift of this remembering. During these next couple weeks as we continue to reflect on Sabbath, I might encourage you to consider small ways you can cultivating habits of Sabbath celebration in your life. We might even share our experiences with one another as a form of encouraging each other to cultivate a live ever moving toward the joy of our Lord. I’ll end with another remembrance from Anne Porter that hints at other aspects of Sabbath we will consider in the weeks ahead. [i] J. C. Ryle, Expository Thoughts on Mark (London: William Hunt, 1859), 41. [ii] Joseph Ratzinger, The Spirit of the Liturgy, trans. John Saward (San Francisco: Ignatius Press, 2000), 26–27. [iii] Anne Porter, Living Things: Collected Poems (Hanover: Steerforth Press L.C., 2006), 80.